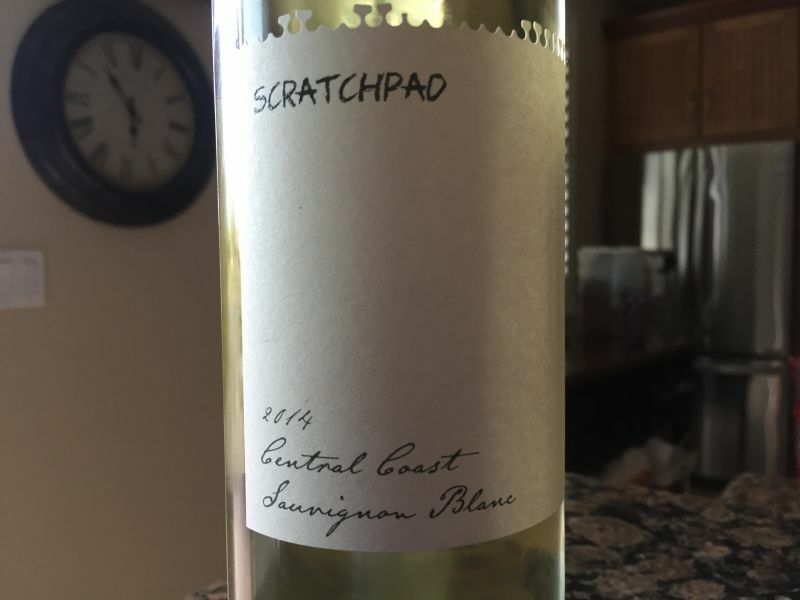 Our latest Bargain Wine of the Week is Scratchpad Sauvignon Blanc from the Central Coast. We opened the bottle last Friday. It seemed an appropriate choice of wine, as it was National Sauvignon Blanc Day, which falls on the first Friday in May. This year that day also coincided with Cinco de Mayo; which marks the Mexican army defeat of the French at the Battle of Puebla in 1862. This date has become a major event in the US, used as a celebration of Mexican-American culture and an excuse, if any was needed, to drink Tequila and Mexican beer. 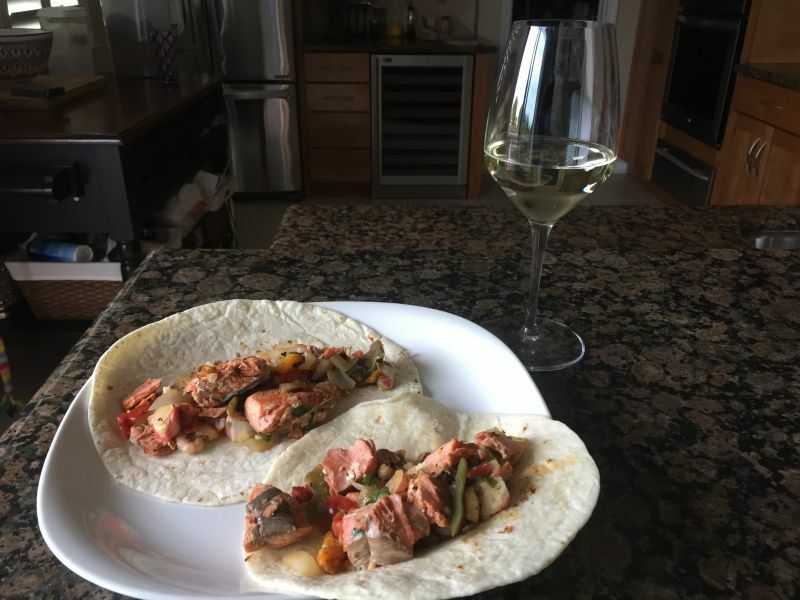 We had no wine from Mexico, so our nod to the event was to pair the wine with fish tacos. The Scratchpad Sauvignon Blanc offered aromas of apple and a pleasing lack of mown grass or cat pee; so often associated with New World Sauvignon Blanc. Taking a sip, the flavour was of grapefruit with a strong backbone of minerality. This assertive acidity paired well with the salmon and the onion; cleansing the palette between bites and not being overwhelmed by the spicy kick in the dish. I have a very uncertain relationship with California Sauvignon Blanc; all too often it is simply acidic and bereft of complexity. There are exceptions; I have tasted some superb examples. I was not expecting much from this wine, given the price. I was pleasantly surprised, whilst it is not a classic, it is drinkable. The retail price for this was $11, but California Girl found this at half-price in Target. At full price, I would not find this wine worthy of note, but at under $6, the Scratchpad Sauvignon Blanc is a worthy Bargain Wine of the Week.